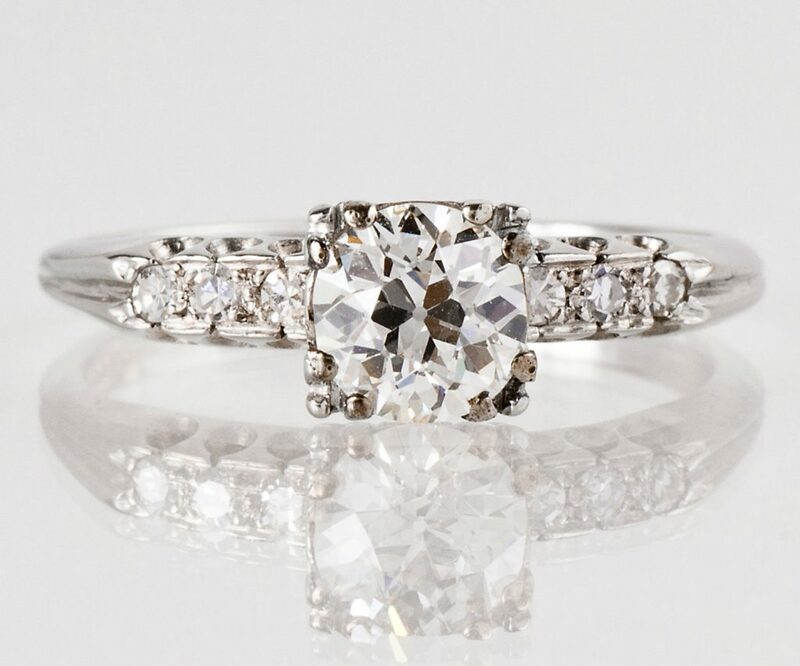 Searching for engagement ring inspiration online isn’t anything new. 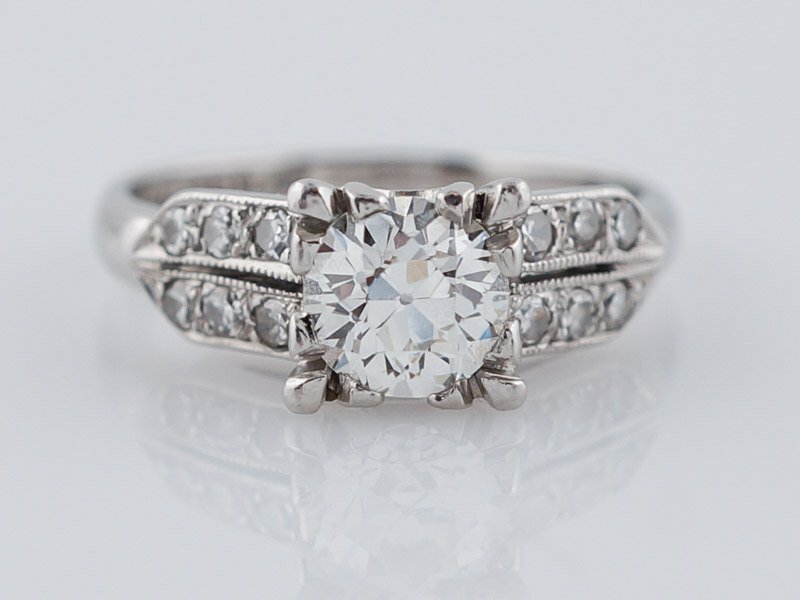 We romantics don’t even need to be in a prospective relationship to admire and appreciate these sparkly love knots. In fact, we might even already be married — or have absolutely no interest in marriage at all. Regardless, for me, my searches are currently based on personal taste and sentiment. 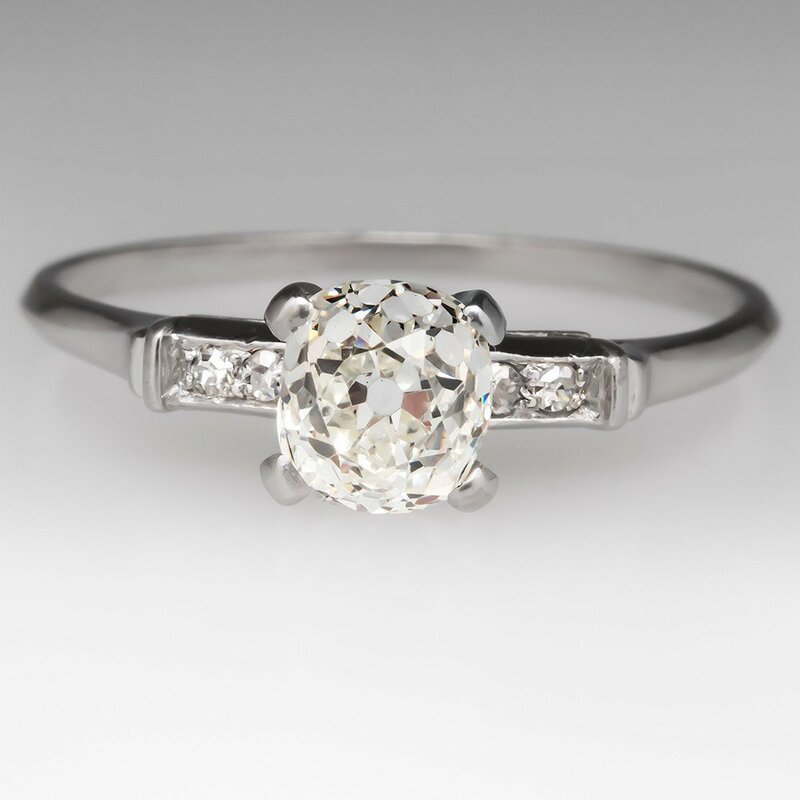 There’s nothing quite like imagining the fanciful history of a 1920’s platinum diamond ring. 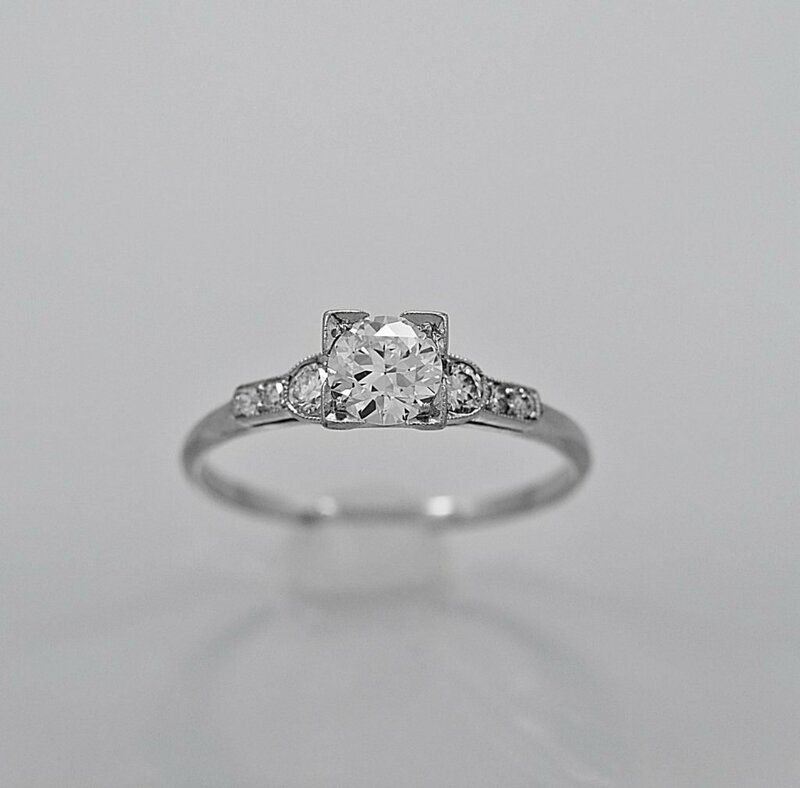 It certainly leads my whimsy in a direction no new ring ever could. 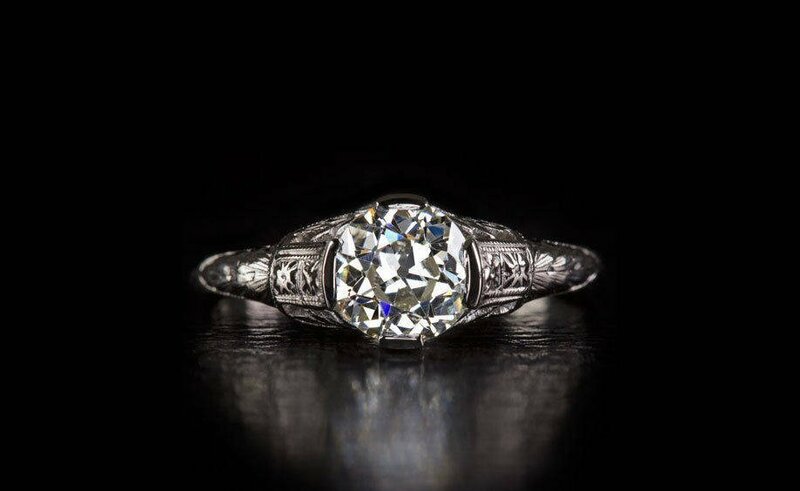 Sure, if I was actually in the market for an engagement ring, my search might expand to “vintage-inspired” or “repurposed” rings, but for now, I’m all about authentic antique engagement rings. Hi Lauren! 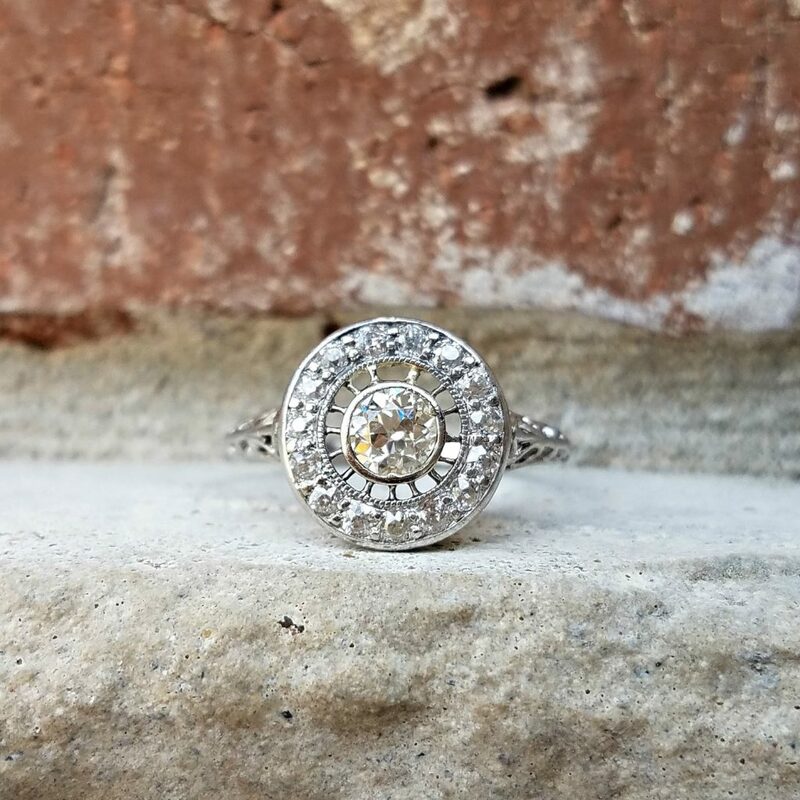 Thank you so much for featuring our Cypress Creek Vintage ring in your blog! 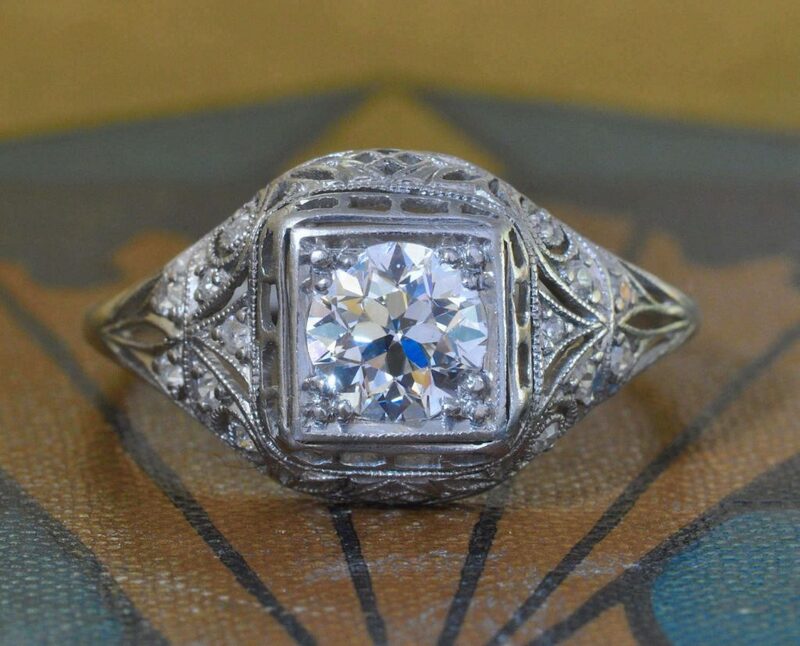 These are very nice rings…Especially the ring via Filigree Jewelers is very cool.